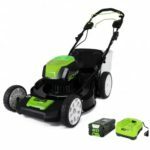 DrewBHAM spotted a new battery powered mower in Europe, the Ryobi RLM18X41H240 Lawn Mower 40CM DECK POWERED BY ONE+ 2X4.0AH. 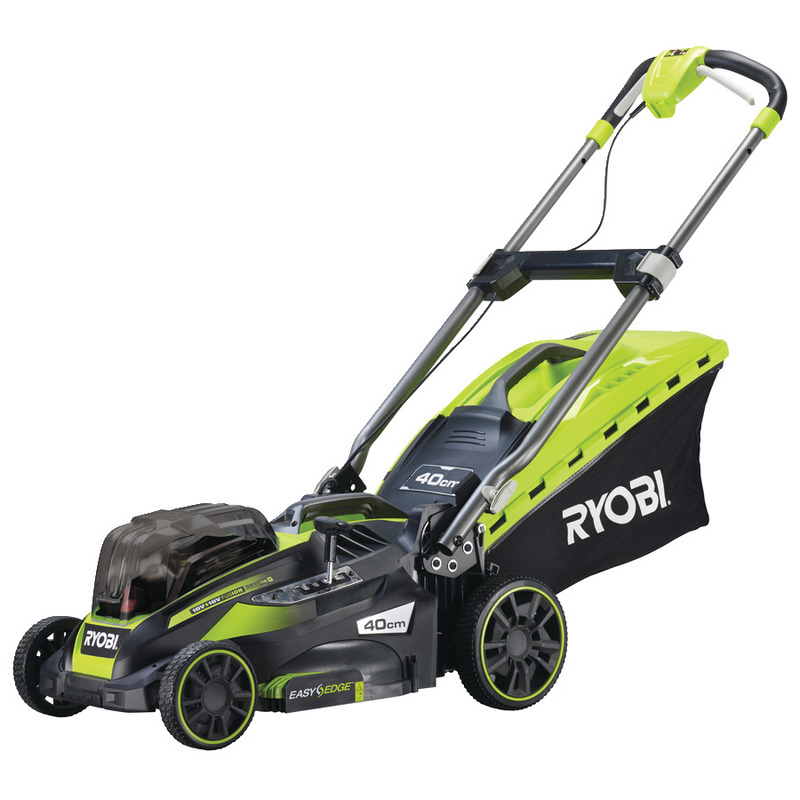 The Ryobi RLM18X41H240 Lawn Mower has a 40 CM deck which is roughly 15.7 inches. 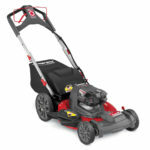 What’s interesting about this new mower is that it resembles to be an updated version of the USA spec P1111 mower model which has a 16 inch deck and can have up to two 18V batteries installed at a time although only one is needed. 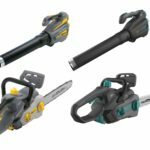 The European spec model can also take two 18V batteries however both are needed since it uses both together to pump out 36 volts of performance at all times. The battery compartment has been rearranged for the European spec model as it now holds the batteries apart from each other instead of piggybacking eachother on the USA model. This allows the use of the larger 6.0 and 9.0 ah batteries to be used together. 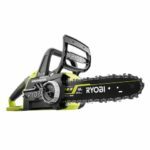 Other changes are all cosmetic with new black and Ryobi green color scheme and slight cosmetic changes throughout. No word on if or when we will get a similar spec’d USA model but I’ll keep you guys informed if I learn anything in the pipeline.